So Tax Day 2016 is over and you made it. Now it is time to let a host of other real life stresses take precedence and Americans can forget about any and everything tax related for about 360 days, right? Because this is part of the reason that our tax code is as broken as it is today- people are simply not talking about the problems and not creating a mandate to fix them. Casual water cooler gossip may not include direct comments about the inefficiencies of our tax system, but they do incorporate many legitimate frustrations about the exhausted system. Every time teachers in Flint, Michigan relent about crumbling schools and dirty water pipes, they are lamenting a failed tax system. Locals flocking to pharmacies stocking up on mosquito repellents in fear of the spread of Zika virus are feeling the inefficiencies of our broken tax code. The potholes lining Main Street, America are a daily reminder of the failed tax system. Overhauling the tax system would not prevent or offer miracle fixes to any of these or the other challenges America faces in the modern century. However, the revenue missed by intricate loopholes that benefit the super elite has left middle class America footing the bill for necessary government projects and services- a tab that has simply become too high for one class to bear alone. The Congressional Budget Office has conservatively estimated that closing the carried interest tax loophole- the notorious poster child for money’s corrupt influence in politics- could offer tax receipts of $1.8 billion per year. That is the cost of fixing those pipes in Flint or the proposed cost for necessary Zika virus research. American’s entrust their elected officials to choose whatever door they see fit, but first, Congress must raise the money to play the game of governance. And they can raise the money right now, today, by closing loopholes that only benefit the super wealthy. 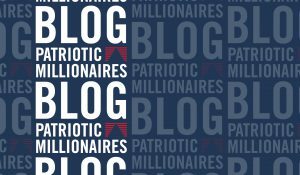 Carried interest is just one loophole (granted one that the Patriotic Millionaires have chosen to focus on in great detail)- but a quick Google search yields a frustrating mountain of tax aversions. Americans do not live in a society where the wealthy pay more in taxes, they live in a society where the wealthy pay for a more expensive tax team. Some lobbyists may keep tax loopholes alive and creative tax accountants may spend hours finding every last technical aversion- but the real MVP of this team are the elected officials who masquerade behind Congressional gridlock as an excuse for inaction in response to America’s challenges. Elected officials like Senator Orrin Hatch (R-UT), who has sat idly on legislation to close the carried interest tax loophole and refused to put it to vote in the committee he is Chair (Senate Finance Committee). If carried interest does not make your blood boil, google those other loopholes. Chances are that one, if not all, of them will make you lose all faith in the current tax system. But this begs the question, so now what? Does the American middle class begrudgingly accept the full bill while the wealthy elite further jam their (sometimes off-shore) piggy banks? Does the middle class simply leave the headache for another year? They should not, and they can not. Challenges facing the country will exist regardless of planned funding. Tax day will come again next year with the same inequality. The headache will last all year and the years after that, until changes are made. 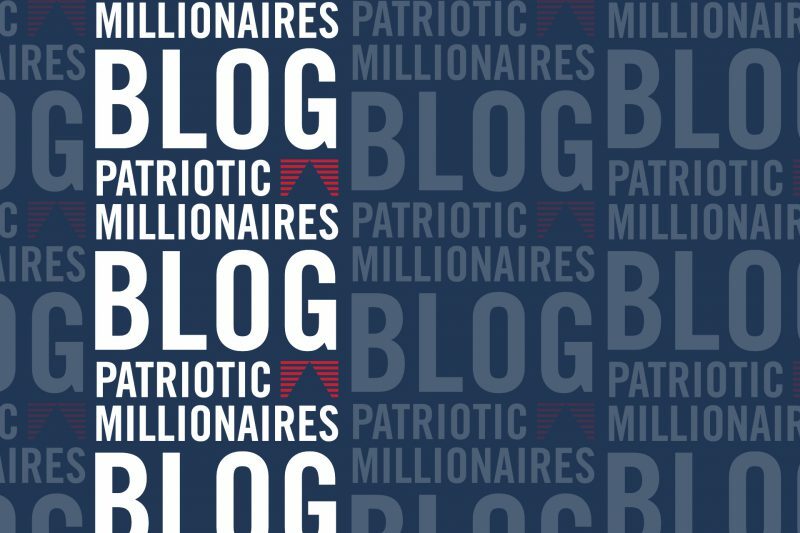 The Patriotic Millionaires are making moves to begin the process to reclaiming a truly fair tax system with state level campaigns to close the carried interest tax loophole and a federal call to Congressional leadership. Pressure has to build from the bottom-up to create a demand that can not be ignored at the federal level. Let’s make Tax Day in 2017, 2018, and every year beyond different. Let’s make a fair Tax Day that patriotic Americans of every class have faith in.